What happens when you put three genetics experts in a room full of curious minds? Ideally, a fascinating conversation that everyone involved will still be talking about days later, and that’s exactly what happened in a U.S. Senate hearing room last Friday, September 28. The health staff of Senator Patty Murray, top Democrat on the U.S. Senate Committee on Health, Education, Labor and Pensions (HELP Committee), invited ASHG, along with the National Human Genome Research Institute (NHGRI) and the HudsonAlpha Institute for Biotechnology, to discuss genomics with Congressional staff working on health issues. L-R: Genetics experts Eric Green, Neil Lamb, Nikki Meadows, and Kiran Musunuru discussed the importance and uses of genetics and genomics research with U.S. Congressional staff. With genomic technologies becoming more prevalent in medicine and agriculture, it is critical that those making legislative policies impacting genetics and genomics have a good understanding of genomics research and its uses. NHGRI was represented by its Director, Eric Green, MD, PhD; HudsonAlpha invited their Vice President for Educational Outreach, Neil Lamb, PhD; and ASHG’s spokesperson was Kiran Musunuru, MD, PhD, MPH, an Associate Professor of Medicine at the University of Pennsylvania and our 2019 Program Committee Chair. Dr. Green opened the conversation by discussing how technology advancements in the last two decades have revolutionized the field of genomics. He described how our ability to now sequence an individual’s entire genome quickly and cheaply has completely transformed how we think about genomics, the types of information we can glean from our genomes, and how we can apply this knowledge to realize the vision of personalized medicine. Dr. Musunuru explained how scientists are able to use genomics to increase our understanding of common diseases such as cardiovascular disease, and to explore possible avenues of treatment. He also explained why diversity in research cohorts is so important. Dr. Lamb finished up the introduction to genomics by talking about using genomic sequencing to study rare and undiagnosed diseases; he also touched on how using genomics in agriculture may have an impact on the plants and animals that we eat in the future. A fascinating dialogue ensued between the expert panel and the Congressional staff regarding what personalized medicine will look like in the future, how genomic technologies are going to fit into existing healthcare framework, and the importance of genomic literacy at all levels. Through participation in events like these on the Hill, ASHG is helping Congress understand the value of genetics research. It also helps us showcase the expertise of our members, and demonstrates that ASHG is a resource to which Congress can turn for expertise on human genetics and associated policy issues. In this way, we are able to build stronger relationships with members of Congress and their staff. We’re excited to welcome Eve Granatosky, PhD, to the ASHG family! Dr. Granatosky started the ASHG/NHGRI Genetics & Public Policy Fellowship in August, and we were able to sit down to discuss how she got into science policy and what most excites her about her new position. ASHG and the National Human Genome Research Institute (NHGRI) co-sponsor the Genetics and Public Policy Fellowship to give genetics professionals an opportunity to contribute to the policy-making process. ASHG: Why did you apply for the ASHG/NHGRI Genetics & Public Policy Fellowship? Eve: The ASHG/NHGRI Genetics & Public Policy Fellowship is one of the few fellowships that has a rotational structure, allowing me to sample a few different areas in science policy. I’m not sure exactly what type of policy I want to get into, or which stakeholders I want to work with, so this position will allow me to figure that out. I recommend it to anyone who’s interested in science policy, but uncertain about what their first steps into the field should be. Eve: I started my career at Stonehill College, with a BS in biochemistry, and received my PhD from the University of Notre Dame. While my research focused on the biosynthesis and therapeutic potential of complex molecules derived from soil bacteria, I also developed my love for science policy. I went into graduate school not really knowing what I wanted to do, but while there, I got to hear a guest lecturer who was a biochemist by training but currently worked for the government on bioterrorism issues abroad. She was using her scientific degree outside of the lab and the purely medical realm. This was the first time I thought that I could do something different with my degree. I also participated in a Capitol Hill Day, where I had the opportunity to advocate for scientific research to politicians. There, I met graduate students from other universities who were also interested in science policy. Their schools had groups on campus that allowed them to participate in science policy activities year-round, which led me to co-founding the Science Policy Initiative at Notre Dame (SPI@ND). SPI@ND meets monthly to discuss policy issues, but also collaborates with other science policy groups, such as the National Science Policy Network, and runs outreach events on campus and in the community. Though SPI@ND now runs without me, I am proud to say that it is still a strong organization. Eve: While at Notre Dame, I was working in a lab that focused on a rare neurodegenerative condition that largely affected children. In this position, I mostly interacted with researchers, but also got to meet some of the patients and their families. It was really inspiring to see the people who our research directly affected. Science policy is an avenue for me to continue to have that direct impact. It creates paths that get the research to the people who need it. In addition, during my lab work, it occurred to me that there were striking differences in perspectives when it came to how scientists and nonscientists viewed some issues, such as the use of genetically modified organisms. I want to assist in addressing these differences and produce work that will help all stakeholders benefit from the research being done. ASHG: What policy issues interest you? Eve: Making diagnostic and therapeutic tools for rare diseases more accessible to patients is a need in the field. We also have to make sure that the regulatory environment is favorable towards these developments, and that patients can more easily participate in clinical trials for new interventions. Collaboration is a major part of these efforts. Without collaboration between organizations, both private and public, research ceases to advance and useful clinical trials won’t exist. 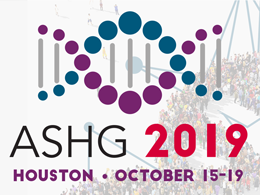 ASHG: Where do you think genetics is heading? Eve: I’m really excited to see that the general public is becoming more interested in genetics because of services like direct-to-consumer genetic testing. I obviously love genetics and science, so this is a great time for us! I believe genetic testing will continue to become more accessible and useful, especially when it comes to developing precision medicine. ASHG: Any final words for fellow scientists interested in science policy? Eve: Twitter is a fantastic source to learn about science policy. The hashtags #scipol and #SciPolJobs are very active, and useful when it comes to finding opportunities to get involved. Science policy advocates are also engaged on Twitter and will live-tweet hearings or give their opinions on bills. Definitely check out those feeds to get a sense for what you might be interested in and what the field is looking for. The ASHG/NHGRI Genetics & Public Policy Fellowship is designed as a bridge for genetics professionals wishing to transition to a policy career. This unique fellowship provides three separate types of experiences: time spent in the National Institutes of Health within the Executive Branch; a staff position on Capitol Hill serving elected officials in the Legislative Branch; and experience working with ASHG in the non-profit science advocacy sector. Applications open annually in February.